Magick Spells are Buy One Get One Free This month ONLY! Click Here to visit the promotions webpage! Do you dream of hitting the jackpot? Do you frequently play the lottery and you never win BIG? If you dream of winning a large sum of money this magick spell can help you win a substantial jackpot. It can improve your odds greatly when you play the lottery. It doesn't matter what country you live in OR what lottery you play. It works for any type of lottery drawing, including scratch off tickets. 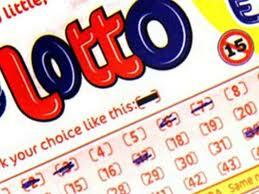 All it requires is buying the tickets and you will be on your way to seeing a big fortune! The Super Lottery Spell is cast at a Power Level 3 and is perfect if you like to gamble OR play the lottery. This spell is perfect if you're playing any state lottery such as Daily 3 Digit, Daily 4 Digit, Fantasy 5, Powerball, MegaMillions, MegaMoney, Quick Draw. It is great if you like to play scratch-off tickets too. If you like to enter into any kind of sweepstakes and raffle drawings the spell will increase your odds of winning as well. Remember, you must play to win. This magick spell does require purchasing the lottery tickets or entering any sweepstakes you like to play. If you have any questions about this magick money spell OR you want a free consultation, Contact Olivia. What What 3 Money Spells do you want to include in your Super Spell Casting? If you wish to mix/match your spells, you can do that from the Magick Spells Webpage. List ALL YOUR SUPER SPELL REQUESTS (List what you want to happen within your Super Spell Casting). VERY IMPORTANT: Click Here to submit your spell casting information ASAP so your spells can be scheduled and completed. Failing to do so can hinder and delay your results. Bring good luck to myself and family. Give us luck when we play the lottery. Let us all attract wealth and abundance with all our business ventures, luck when we gamble and within anything we set out to do with our finances. Protect our family from any financial losses. This is just an example of how to submit your spell casting information for your Super Lottery Spell. Remember, there's NO Limit to the amount of requests you can have within this spell AND you may also include photos of everyone that's to be in your spell casting. They are not necessary however, they'll be used if provided. If you have any questions about and of the Super Magick Spells we offer OR if you want a free consultation please feel free to Contact Olivia. Consults are always private, free and no obligation to buy!